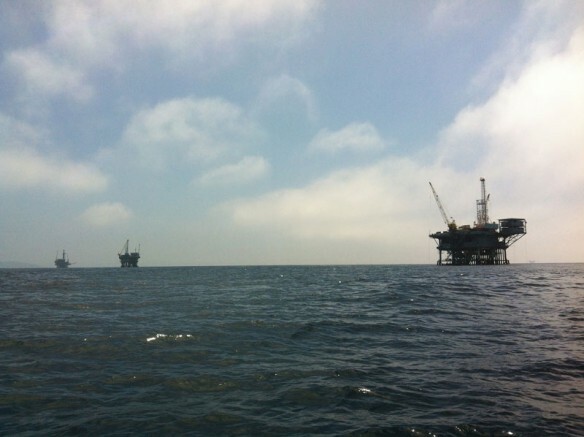 Oil platforms, Summerlamd, Santa Barbara County. Photograph: © SAF — Coastal Care. 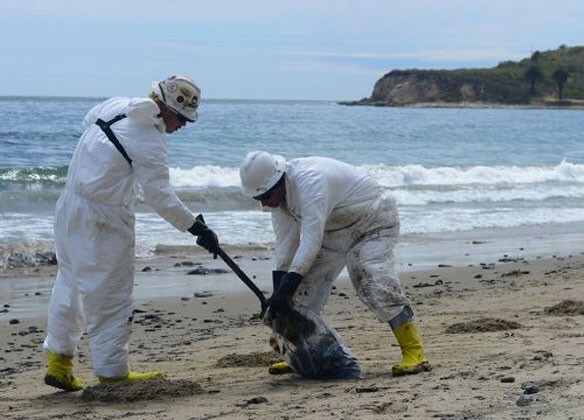 The recent oil spill off the coast of Santa Barbara is a powerful reminder of the devastating costs of America’s addiction to oil on our communities, beaches and wildlife. The Santa Barbara County spill, one of the largest in California history, reiterates what we already know: We can’t extract oil and transport it without putting our beaches, wildlife, and coastal communities at risk. The sad fact is, when you drill, you spill.